Bambo has over 15 years of experience in the oil and gas segment of the energy industry. 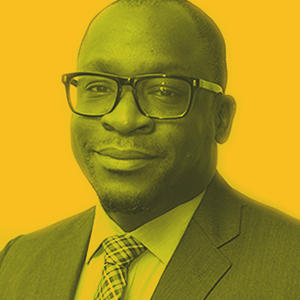 Prior to joining Oando Energy Resources, Bambo held senior Management positions as the Head of Technology and Service Delivery and Executive Assistant to the Deputy Group Chief Executive within the Oando Group. Before joining Oando, Bambo worked at Argentil Capital managing Oil and Gas transactions and held the role of a Facilities Engineer at Chevron Nigeria Limited prior. He holds a Bachelor’s degree in Chemical Engineering from the University of Oklahoma, an MBA from the University of Newcastle and is a member of the American Institute of Chemical Engineers and the Nigerian Society of Engineers.